Why are some animals raised indoors and others outdoors? Some farmers choose indoor housing to protect animals from weather, disease and predators. An indoor environment can also ensure that animals are receiving a proper, nutritious and balanced diet. 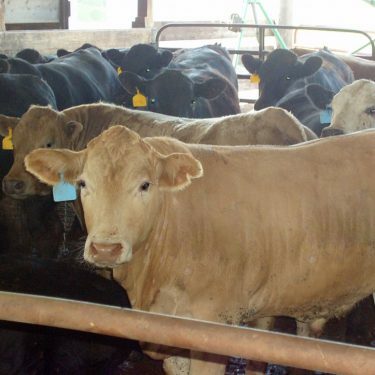 Additionally, many barns today have highly technical ventilation systems that keep animals cool during the hot summer months and warm in the winter, providing animals with the utmost comfort. Is food from free-range farm animals safer than animals raised in modern confinement buildings? The popularity of niche-market products has increased in recent years primarily boosted by consumer perceptions that they are healthier and of higher quality. There is limited scientific data to support or refute the safety of such products. Studies have found that pathogen prevalence is actually higher in niche market/free range antibiotic-free farm animal production systems compared to conventional confinement operations. For example, a nationwide survey showed that conventionally-labeled milk had the lowest bacterial counts compared to non-conventional systems. A pork-related study found significantly higher prevalence of Salmonella and other pathogens in free-range pigs compared to those raised in confinement systems. One reason prompting the move to raising certain farm animals indoors beginning a half-century ago was control of pathogens – diseases from parasites in particular. A return to outdoor systems may contribute to reemergence of parasitic pathogens, some of which have been effectively eliminated from food animals.